I’m still only daydreaming about my big day, but like most ladies with a Pinterest account, I have collected my fair share of wedding ideas on my “Someday Dreams” board, pinning what I’d like to remember in terms of decor, food, costuming, etc. Along the way, I have discovered that people have found very inventive ways to waste money in weddings. Maybe it’s just me, but I don’t really want to start out my married life in severe debt just because I wanted to have a lavish wedding. Plus, selecting and managing all those tiny little details? Not worth the stress and gray hairs! Source for 1st pic Source for 2nd pic Fresh flowers are lovely but fleeting decorations. While they’re fairly easy to set up and easy to clean up afterwards, large bunches of them can also set off allergies (don’t laugh, I’ve seen it happen! ), and can look over-feminized. And aside from a few stems and petals pressed and saved between book pages, fresh flowers can’t be saved as mementos very easily, so they end up literally being money in the trash. When you’re looking to stretch your wedding funds, trimming down on flowers may be an easy way to go cheaper and still get a look fit for a party. Just a few flowers here and there may even make a more elegant effect! Also, lengths of fabric connecting pew to pew decorations can look way too floofy (again, over-feminized). Yes, there will be a lot of females involved, but you want to make sure the groom doesn’t keel over of an estrogen overdose before the end of the ceremony! 😛 All kidding aside, having pew decorations that look like extensions of the bride’s dress can be a bit of overkill (expensive overkill, no less–you have to pay for all that fabric, after all). Saving a little money on the pew decorations and going for something simpler–that isn’t a hazard–might be just what your budget calls for (as well as what your guests will enjoy more). Source for 1st pic Source for 2nd pic Have you ever noticed that the more expensive food is, the less you get, and the less edible it is? Hoity-toity names, pretty presentations, dainty miniature portion sizes, and pricey ingredients don’t seem to make things taste all that good. Choosing good food that you and your intended enjoy may not mean that you have to go to the fanciest place in town to get catering. 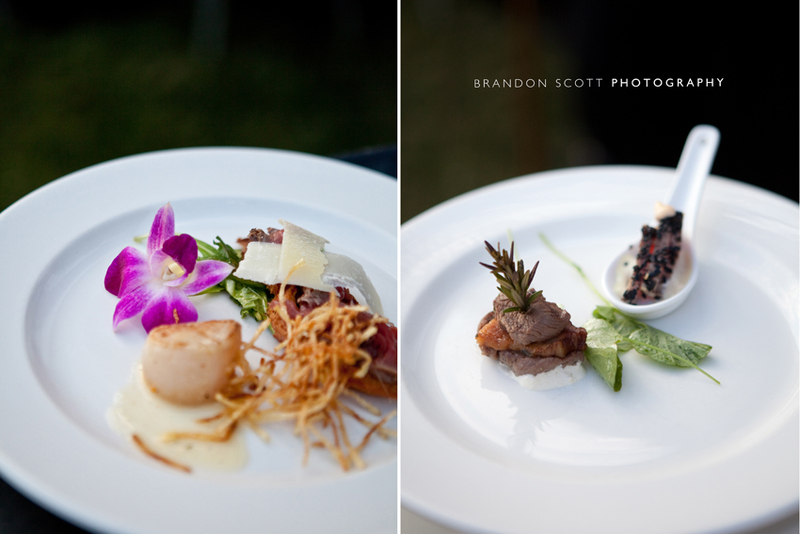 Remember, nobody said your wedding food had to be 50 bucks a plate. You don’t want to end up paying more for the presentation of the food than the quality, right? I see and hear of many brides choosing very high, sparkly heels for their big days, and…my ankles ache in sympathy. No matter how big or small you are physically, high-heeled shoes are a no-no when you’re going to be walking and standing a lot! Take it from a choral singer who’s stood in hour-long concerts in enough pairs of high heels–you don’t want to punish yourself like that. You could even end up hurting yourself if you trip and fall over a long bridal dress train (broken ankles are not usually part of the ceremony). And remember, if you’re blistered and achy later, your new husband is going to have to put up with you…just sayin’. In this instance, going for lower heels (or even supportive flats) could help you enjoy your big day a lot better. Usually, lower heels and less decoration mean a cheaper price, and honestly, with all the awesomeness of you walking down the aisle, who’s going to be looking at your shoes, anyway? Source for 1st pic Source for 2nd pic You do want to thank your guests for coming and giving them a small token to remember the occasion. You don’t want your guests going home overloaded with a gift like they just left a taping of the Oprah Winfrey Show. Going into way too much detail and too much cost on favors can backfire–it’s more stuff for the guests to keep up with, and many guests throw away their favors within a month of the wedding anyway. (SAD but true–well, except for me, the packrat. LOL) Even if you think the guests are going to “use them forever,” you don’t have any control over them once you’ve given the favors…and you don’t want money going into the trash (or into yard sales) unnecessarily. Instead, edible favors, or very small “thank you” tokens of appreciation like a keychain tag or custom bookmark, could be easier ways to let your guests know that you appreciate their effort. (In the case of edible favors, be wary of common food allergens, like peanuts.) Either way, this will ensure that the guests enjoy the favors and don’t have loads of stuff to carry to the car later.